Rather than tackle one subject today, I’d like to pull together a handful of perfume odds and ends. If you have something to share, too, please leave a comment. 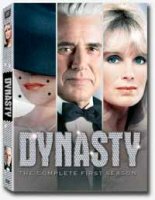 Dynasty: During the first season of Dynasty, Krystal Carrington’s son-in-law gives her a bottle of perfume that he bought on his honeymoon with Fallon (who, incidentally, had been carrying on a long-term affair with his father). As she received the bottle, she said, “Bal à Versailles, my favorite.” So what does that leave for Alexis to wear? Vintage Eau de Cologne: Jenny, a perfume lover I met through Now Smell This, pointed out that vintage Eau de Cologne seems to last as long as modern Eau de Toilette and Eau de Parfums, and I think she’s right. A splash from my vintage bottles of Guerlain Mitsouko or Worth Je Reviens Eau de Cologne lasts all day. I wonder if colognes used to have a higher concentration of perfume oils? Scent endurance: Vintage clothing often smells of mothballs, cigarette smoke, body odor, or general moldiness, but rarely of perfume, strangely enough. Most odors disappear after drycleaning and a thorough steaming. Body odor is the most persistent scent, and often no amount of cleaning or Febreze will get it out. Scent in dreams: I know many people see color or hear music in dreams, but I’m here to tell you that people can smell in dreams, too. Not long ago I dreamt that someone handed me a sample vial of perfume (I’m surely not the only person who dreams about perfume sometimes?) and I clearly smelled Lorenzo Villoresi Yerbamate. Vintage atomizers of parfum: Both times that I bought parfum in an atomizer from an unopened box at least ten years old, the parfum had evaporated. On the other hand, when I’ve bought parfum in other types of bottles, it’s been all right. Buyer beware. Patchouli: Many of you might loathe patchouli, but I bet that some of you patchouli-haters might change your mind if you smelled the good stuff. Living in Portland, I get drafts of head-shop patchouli all the time. Until a few years ago, I never associated that patchouli with the delicious, sensual patchouli that I smelled in the drydown of some of my favorite scents. Now I adore patchouli. Montale Patchouli Leaves, Keiko Mecheri Patchoulissime, and L’Artisan Voleur de Roses are some of my favorites. I long to try CB I Hate Perfume and Lorenzo Villoresi’s patchoulis, too. Scented sheets and pets: If you spray your sheets with scent and your cat sleeps on the bed, she will smell really nice. A few spritzes of Stella McCartney Stella or Thierry Mugler Cologne on the fitted sheet will do the trick. Krystal was so chique!! She knew it all and yet choose to leave others to keep their dignity. Last night I dreamed of Eau de Campagne (Sisley) but can't recall whether I smelled it!!?? Woke up with a very positive feeling.. In the country where I live there is a lot of vintage stuff to be found, but still I prefer not to bother too much (unlike my husband). because the smell of old things makes me nervous for some reason. However for collector of fabulous perfume bottles the Czech Republic is the place to be! Oh, if the smell of old things made me nervous, too, I'd have a more stable bank account, that's for sure! I was surprised that Krystal chose Bal a Versailles. I would have pegged her for something more innocent and modern–maybe Caron Nocturnes? I think that was released by the time Dynasty was on the air. Bal a Versailles was released in 1962. Recently I scored a sample of vintage Guerlain Vetiver Eau de Cologne. Now that is the real-deal vetiver! Lasts as long as the EdT but has a more pronounced (raw, bright rather than soapy) vetiver note, straight off from the top notes. I would have thought Vetiver Extraordinare but then the tobacco and nutmeg crept in. And it looks like Nocturnes came out in 1981, just in time for Krystal to stock up in time for Dynasty–that is, if she weren't already a Bal a Versailles fan. I've been surprised by really liking the Guerlain colognes I've tried so far—Mitsouko and Shalimar, even better than their EdP counterparts. The traditional wisdom is that the Guerlain EdTs are lousy compared to the parfums, and I can see that, but I've never heard much about Guerlain cologne. The menthol and vanillic edges of Shalimar in cologne wear off faster, leaving a not-too-sweet spicy heart, and Mitsouko seems so much more approachable. Is it that they're cologne? Or is it that they're vintage? Or both? The characters later had fragrances called Krystle and Carrington, I think. Alexis would have worn Shalimar, Fracas, or probably Joy if she wasn't wearing Bal A Versailles. Yikes! I do vaguely remember the Dynasty fragrances. I bet Krystal smelled nothing like Bal a Versailles. I can imagine Alexis in Patou 1000, too. i got my teeny roll-on of stella from sephora today– and 90 percent of it had leaked out of the bottle. my bag smells delish and they're sending me a new one. le dix arrives friday! A commenter on the Le Dix review said that it's being discontinued! I was so sad to hear that, and I'm happy to know you're getting some. For some reason I can also see Alexis wearing Giorgio; in the 80's, before you could find it in any Wal-Mart, Giorgio was the ultimate snob fragrance, since for a couple years, it could only be bought in their Beverly Hills boutique. I always picture any 80's cocktail party or power-luncheon reeking of Giorgio. A powerful, slightly vulgar, knock-'em dead floral like this seems perfect on Alexis. Does anyone also remember when Joan Collins had her own fragrance called Scandal, which was out at the same time as Krystal and Carrington? (As many celeb fragrances as are out today, at least we don't have any based on fictional tv characters, ha ha!) Thanks for the Dynasty memories! Sorry, duh, not Scandal – Scoundrel! Dear Angela, I loved the Dynasty connection! So it striked me as strange that you described Nocturnes as Innocent…from the name to the fragrance, I find nocturnes to be an intoxicating and al-grown-up woman's fragrance. Perhaps because my dad gave it to my aunt as gift circa 83 :-). Yes, of course, you're right! Giorgio of Beverly Hills would have been perfect for Alexis, the “scoundrel”. And it's “Forever Krystle”, not Kristal. Nocturnes definitely has a sultry note running through it, but it also has a clean part to it, to me. A nice balance. I really do like it. I'll definitely look for the Kiehl's musk. I feel like I've seen it at Marshall's on discount, too. Thanks for the tip! Yes, Giorgio would be perfect for Alexis! What a stinky scent it was, too. Whew. As for fictional character perfumes, we do have Desperate Housewives. I can't imagine that one is doing alll that well. Shame on me for not knowing how to spell Krystle, and I'm really impressed that you remember the whole name! What does it smell like? I'm imagining a floral. Ahh, memories of when I was a kid and not allowed to watch night-time soaps! I did see that Alexis and Krystal catfight when they shoved each other into the pond though, priceless. Hey, wasn't there also a night-time soap in the 80s built around the perfume industry, Bare Escense, I think it was called. Cheesy dialogue, brainless romantic maneuvering, oh to be a kid again and secretly stay up past your bedtime on Thursdays. I'd love to see the soap opera about the perfume industry. Same era–remember Barbra Streisand as a perfumer in the Main Event? I just checked, and my library is now stocking season 2 of Dynasty, as of two weeks ago. I'm 14 or 14 holds. Maybe Krystal would have worn Estee? I could see that. I vaguely recall “Bare Essence” starring Genie Francis as the heroine trying to build a perfume empire. Today there's “The Young & The Restlesss” which centres around a cosmetics company that also makes perfumes, like “Ashley”. It's spinoff show “The Bold & The Beautiful” had Ashley, the perfumer, crossover and create a new fragrance for the Forrester Fashion House called “Phoebe”. How about Cristalle by Chanel for Krystle Carrington? (Ha!) Actually the fragrance would have suited her quite well, I think! Alexis – definitely Fracas, I think. Something with tuberrose, anyway. Hey, Cristalle, not bad! I can see it. I bet Bare Essence is moldering away in some Hollywood storage unit now. I'd love to see it. I have a friend who teaches art who lecture about the cultural history of soap operas. I'll have to ask her about The Bold and the Beautiful. I can see Fracas for Alexis, too. Something about her coloring and attitude make it a natural. My cat is happy to sport whatever perfume I spray on the sheets, but my dog adores Narcisse Noir. Whenever I put on the parfum, he licks my arms. Isn't that strange? I wonder if its the civet?